Looking back, I can see how God has prepared me throughout my entire life for becoming a military wife. I was the little girl that cried singing the national anthem. I was the teenager that loved all things red, white, and blue. I was the young mama that volunteered with the Red Cross on 9/11. And today I’m the wife of a wounded warrior, trying my best to raise 5 young patriots. But it wasn’t until this year that I realized the emotional trifecta that is this important holiday for me. I was a Midwest girl raised by southern standards. We believe in “yes ma’am” and “no ma’am”, sweet tea, and apple pie. We wave the flag, we wear the flag, we honor the flag. We say the Pledge of Allegiance loudly and proudly. We grow up playing with sparklers and catching lightening bugs and always eating BBQ on the 4th of July. It’s just what we do. We take long road trips, winding our way across this great land, from sea to shining sea. We stop at battlefields and read up on national monuments. We teach our kids to memorize the Preamble of the Constitution and the names of all 45 US presidents, in order. We love America. We are America. We are raising America. I also grew up going to church every Sunday, memorizing all the verses to America the Beautiful, and proudly embracing my Christian heritage. I know the faith of the pilgrims, the sacrifice of the Revolutionary soldiers, and the importance of religious freedom. I make it a habit to pray for our military, to thank God for our freedoms in this nation, and to teach my kids of the great heroes of our faith. I pray for our leaders, vote my conscious, and encourage others to do the same. I back candidates that support biblical principles and take my right to vote for godly leaders very seriously. However, the one single factor that binds my heart most tightly with the love of our great country is my husband. He is my hero. He is a patriot, a warrior, and a Veteran. He embodies the attributes of every great soldier- leadership, duty, responsibility, selfless-service, honor, integrity, and personal courage. I thank God that he lived through battles that others did not. I thank God that he is here. I thank God for making heroes like him who willingly run towards the things the rest of us run away from. So, this 4th of July, while I wave my little flag, watch my children draw pictures in the air with their sparklers, and “oooh” and “ahhhh” over the fireworks above, I will thank God once again for this country. I will thank Him for freedom. I will thank Him for our rich history as a blessed nation. And I will thank Him for the countless men and women who have sacrificed so much for me to even be able to pen these words. I thank God for America. When God gives me the opportunity to share the same message with more than one dear friend in a short period of time, I consider it a nudge from above and I share it with the masses. And this message seems to be quite timely given the brokenness of our world right now. I had clung to God’s promises for five years. I knew He was going to answer my prayers. I knew He was going to restore what had been broken. I knew He would come through for me. I trusted Him explicitly. I never once doubted His ability, His willingness, or His timing. It was hard to wait but I trusted my Savior to come riding in on His white horse to save the day. My heart shattered. My life shattered. And my faith was tested. Would I still trust God even when He didn’t rescue me? I’ll never forget the way I felt the first time I heard Natalie Grant’s song, Held. These words touched a part of my heart that hurt so deeply and soothed my soul with the reminder of this simple truth: He was holding me. Oh, how I could relate! The sacred had been torn from my life and yet, I survived. I wanted to be rescued. I wanted to be saved from the nightmare of my reality, but I wasn’t and I didn’t understand why. But God never promised that if we cling to Him, He’ll make our wishes come true. No, He never promised to give us what we’ve wanted or even to give us what we’ve earned. He just promised to hold us through this very difficult journey we’re on called life. When things don’t go our way, God has not disappeared. He has not forsaken us. He has not abandoned us. He has not failed us in any way. He is there. And He is holding us. It’s not your fault. It’s not your lack of faith. It’s nothing you did wrong or failed to do. We live in a broken, fallen world. And somehow, despite our own brokenness, despite our own sin, we think we deserve to live a life exempt of the consequences of the sin all around us. Do we really dare to think that we deserve to be rescued? To be saved? Maybe we consider ourselves better than other people in our world. Maybe our sins aren’t as destructive, or heinous, or costly. But when we compare ourselves to the standard of perfection which is the life of Christ, can we really be so bold as to think we deserve deliverance?? Another song that speaks volumes to my heart on this very subject is a song that has brought many of us to tears over the past year. Hillary Scott & the Scott Family sing Thy Will Be Done and it brings me to my knees every time. Why? Because we love to focus our minds on the goodness of God and when He allows the pain of this world to encroach upon our lives, we don’t accept it. We reject it. We think it must be a mistake. It goes against everything we want to believe about a good and loving God. But it’s not our view of God that is clouded. I’m beginning to realize that it’s my evaluation of my own self that is skewed. It’s my assessment of my own place in this massive universe that is inaccurate. You see, I’m not the center of the world and neither are you. Yes, God loves me (and you) enough to die on a cross for our sins, but we are not the only two people He did that for. There are some events and situations and circumstances in our lives that actually have nothing to do with us and everything to do about the people around us. What if God’s sole purpose in creating me was to use me to help someone else? Wow. That changes the way I look at my life. What if God allowed me to suffer through the greatest pain in my life so that He could bring me alongside of someone else going through a similar and use me to bring that person to a saving knowledge of Him?? What if the whole purpose of my life, my pain, and my entire life was just to point others to Him and to bring Him glory?? Isn’t that supposed to be the purpose of my life??? At what point in my journey through life did I begin to think that my life was about my happiness? When, as a Christian, was I ever taught that my feelings are more important than the will of God? Where, in the Bible, have I ever read that God’s purpose is to please me? When I stop focusing on what I think God owes me and I start focusing on what I owe God, then my perspective of my problems (as painful and traumatic as they might be) becomes much more clear and I’m just grateful that God can use my messed up life to help someone else and I’m not quite as upset anymore when things aren’t going my way. I truly believe that I will never know on this side of heaven what purpose God has for many of the obstacles that I’ve hurdled (or crashed into) in my life. But I know that the Savior of the world loves me. I know that I don’t deserve His salvation. I know that I fall short of His glory and grace every single day. And I know that His Word says that He has plans to prosper me and not to harm me. His plans don’t always feel good. But He’s a good, good Father. Some days, life just seems way too daily. The to-do list is long and the amount of time available to accomplish those tasks is shortened by interruptions from kids and emergencies and of course, Facebook. Still, on my most disciplined of days I’m doing good to get a few hours of homeschooling in, answer my messages (email, text, and yes Facebook), get my errands ran, and POSSIBLY remember to lay something out for dinner. Possibly. And at the end of the day my to-do list often still has the four things on it that were there the day before. Like “Call the dentist”. And “Talk about the budget with husband.” OK, that last one has been there for six years, but we’ll talk about my procrastination issues some other time. My point is, most days (like most of you) I find myself feeling pulled in multiple directions. Even when I’m sitting still I feel like I should be doing something. If I’m riding (not driving) in the car, I work my business from my cell phone. If I’m making dinner, I answer messages on my cell phone. If I have 8 minutes while the cookies are baking, I hop on the computer and work on my lesson for co-op. When I’m trying to encourage a friend via text message, I think of a great image I could make, create it, then post it to all of my social media accounts and all of the ministry social media accounts that I run. Do you get what I’m saying. I’m never singularly focused. I’m always multi-tasking. Always thinking of what the next thing is that I need to do. Always hurrying on to that next thing. I even have a hard time keeping up with this blog. I mentally post here about 12 times a day. I’m not even kidding. I glean nuggets of wisdom from others that I find worthy of sharing and I mull over the best way to express those thoughts… while brushing my teeth, or cleaning my bathtub, or buying groceries. Those words never make it to this screen. I loose focus. I’ve moved on to the next thing. And THAT is why I have decided that Heather needs Hammock time. Daily. Well, at least 3-4 times a week. And half of my hammock time needs to be phone free. At least. Today I went out to the hammock, phone in hand. For a while I listened to some praise music on Pandora from my phone. But then the multi-tasking began and I decided I needed to put it away. So I chose to sit in silence. I watched the clouds. I listened to the birds. I relished the fact that the air was warm and the breeze was light. I thanked God that I lived in Florida. And then I started thinking of the people I love who are going through immense difficulties. I prayed for the friend who’s husband is in immense physical pain. I prayed for the friend who recently lost her best friend. I prayed for my kids and my friends’ kids and for my marriage. Then I just sat. I’ll be honest. It took a good twenty or thirty minutes before that jittery, restless, incessant need to do the next thing finally stopped. Please don’t misunderstand me. I am NOT a workaholic. I’m not a busy bee. I’m not one of those people that work work work from sun up til sun down. In fact, I don’t do much at all compared to most stay at home / homeschool moms I know. I have lazy days (more than I’d care to admit). But even my lazy days are spent with divided attention. I’m never fully present. And that brings me back to my words for 2017. Even if it takes me thirty minutes of staring at the clouds, I WILL learn to focus myself on one thing at a time. And if I have to put this on my calendar and set reminders three times a week, I will. Because the world deserves my best ME. Not a third of what I can give while doing two other things. And I deserve the peace that comes when you’re focused and not frantic. So if you need me, I’ll be in the hammock. Unhurried. Without my phone. …. most of the time. Legacy has been a buzzword in my life as of late and I’ve found myself pondering what it is I will be known for when I’m gone someday. Who will my children and grandchildren say that I am? How will I be remembered? What will have been my greatest accomplishment? Thinking about legacy has shifted my perspective. OK, so I’m changing more than my perspective. I’ve changed the blog up quite a bit, too. Whatta ya think? Snazzy, huh? Maybe not quite snazzy but I had to get rid of the previous set up. It wasn’t me anymore. I created the previous blog page as part of a college assignment which required me to “brand myself” by trying to appear exceptional in some area of my life. Yeah. That totally didn’t happen. I’m totally ok with that. Because if people know that I’m trying, then they know that something has mattered to me. God matters to me. My marriage matters to me. My children matter to me. People matter to me. So I’m changing my perspective and I’m no longer focused on finding one area of my life that God can use me. I want Him to use every area of my life. I want Him to use me in the grocery store and around our homeschool table and on conference stages and in my prayer closet. Wherever I find myself, I want Him to use me. And if I don’t write well…and I don’t speak well… well, at least I tried. Just a few hours ago I blogged about trusting the heart. After a horrific week of tragic news from various family members, I knew what I needed. A good cry. And Jesus. So I asked my husband to take me for a drive down my favorite road in Central Florida. At sunset. Because that’s where I see Jesus. And because my favorite soda stop is at the end of that road. Because my husband knows the look on my face when I need to take a drive, he hopped in the car and we drove. Not only was the show amazing in the sky, but God had synchronized our drive to the absolute perfect music. The first song on the radio was, “Jesus Bring the Rain” by Mercy Me. So I started to tear up. A little. So the sky kept glowing and the music kept getting more and more powerful. The next song on the radio was “Ever Be” by Aaron Shust. That’s when the tears started flowing. Despite the pain. Despite the stress. Despite the hurt. Despite it all… God is good. By the time we reached my soda stop, I had tears streaming down both cheeks so my sweet husband drove me through the orange groves so that my crying and my praising could continue on a few more minutes. I let it all out. The root beer could wait. That’s when “Strong Enough” by Matthew West came on the radio and I took in a deep breath and felt God filling up my lungs with His peace. This messiness. This shame. This pain. It’s going to be alright. It’s ok to take a day to ponder and process and cry and talk it out. It’s ok to admit I can’t do this by myself. Thank God, I don’t have to. That’s when He showed me that there’s healing in the brokenness. Only God can heal the heart. 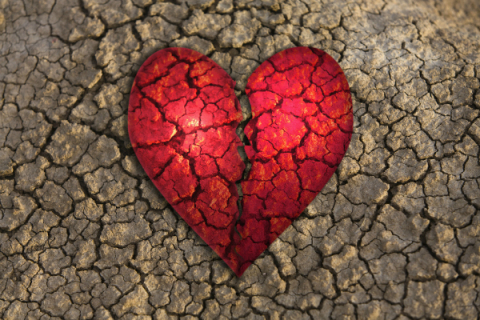 My heart may hurt right now, but my heart will heal. His healing has already begun. I learned a long time ago that you cannot always trust a person’s words. Sometimes even a person’s actions are not an accurate barometer of who that person truly is. You know, the real person- not just the person that people see on the surface. People make mistakes. They go through phases. They are often misled or misguided. People are people. And as the adage goes, you can’t judge a book by it’s cover. But we have to judge people by something. We have to make decisions and responses and relationships with people based on some variable. For years I struggled with this. Mainly because I was not brought up in what I now would deem an emotionally secure environment. My parents did the absolute best they could but they were still reeling from their own upbringings and trying to establish security of their own. I do not fault them for not being able to provide it for me. But as a parent now, I still don’t get how they allowed it. It honestly wasn’t until after I married my husband Bob that I recognized the variable that I could (and should) use to filter a person’s words and actions and attitudes. It’s the heart. When you’re married to a person with a traumatic brain injury, you learn that you cannot always trust a person’s words. But I began to rely on what I knew about his heart. And while sticks and stones still leave scratches and broken bones, they don’t end marriages. Not when you know and trust someone’s heart. I trust that my husband loves me. I trust that my husband would never intentionally hurt me. I trust that my husband always has my best interest at heart. And I trust that he’ll make mistakes along the way but that it will never negate all the things that I just stated which are true. This has been an emotionally trying week. A week of spiritual assaults on so many different fronts that I’ve lost track. I’m even battling in my sleep. Literally and figuratively. Then today even more bad news came followed by a wave of tragedy and the heaviest of all the things weighing on me was this: I don’t think the people in my life (in my family) have learned how to read a person’s heart. Either that or their loyalties are seriously misplaced. I don’t know. But it has devastating consequences. I wouldn’t know how to go about telling someone how to do this. How to read someone’s heart and know whether or not their heart is a safe place. A good place. Maybe it’s not something that everyone can do but it’s something I now realize I’ve done my entire life. For as long as I can remember, there have been people in my life who I viewed as “good” and then there were people who I viewed as …uncomfortable to be around. Now I view them as “bad” but in my innocence, I never imagined that anyone in my family could be inherently “bad”. Bad people commit murders and robberies and rot in jail. My family was not bad. They just made me feel uncomfortable. Or sad. Or scared. For years I was prodded (ok, required) to accept various forms of abuse because, well,…family is family. 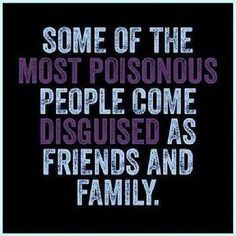 As an adult I was told… pushed…ok, required to accept hurtful words, toxic behaviors, and sinful lifestyles because… well, family is family. Friends, I am here to tell you that a common last name or shared strand of DNA does NOT make family a safe place. Earlier this week, my husband and I were shook to the core to learn that our 3 year old nephew had been found dead. A long, messy story. But the adults in his life had failed him. Adults whose hearts I did not trust. Adults I was told to trust anyway because, well… family is family. “That’s just the way this family is” has been said far too many times. And now a precious child is dead. Why? Because… well, family is family. Late last night, my grandmother passed a way. A woman dearly beloved by many. A pillar in her church and in her family. Yet a person who rejected me at birth and hurt me badly. But I was never protected from it, defended when it occurred, or given grace when I walked away from it. I was expected to take it because, well… family is family. And “that’s just the way this family is.” Don’t get me wrong- I have some very fond memories of her. She had many wonderful qualities. But how do you decide if a person is good or bad based on their words or actions? Make a list? Weigh the good and bad words and deeds against each other? I don’t know. So I look at a person’s heart. Then today I received even worse news regarding another family member who had sexually molested some younger family members. Again, someone I was encouraged to love and accept (because, well… family is family) but always feared. No one can judge another man’s heart but God. Yet, He gives us common sense and guidance (when we ask for it) to discern the ways of man. No, we cannot always trust man’s words. No, we cannot always trust a man’s actions, though they tend to tell us more about a person than his words. But you can trust that a man’s heart is who he is. That doesn’t mean you have to shun him if his heart is not good. It doesn’t mean that you should deny his existence or badger him and belittle him. It doesn’t mean you shouldn’t forgive them because you absolutely should. Every time. But we wise. Be on guard. Be prepared to defend and protect others from him. Don’t let your obedience in extending forgiveness overshadow the need to protect those who could still be hurt. Including yourself. Most of my life I have been criticized, yelled at, ostracized, or at the very least, misunderstood for being wary of people whose hearts have troubled me. For keeping my children away from relatives whose hearts I did not trust to be good. To be safe. Today my heart grieves for the loss of a young child who could have been saved. I grieve not only for the relationship with my grandmother that I “should have” had but also for the lack of action that any adult in my life had dared to take to stop the toxicity that had taken over the family. I sob for the young cousins who were violated in the most unimaginable of ways by the most unimaginable of people. Family is not always a safe place. But I’ve never doubted the love of my Heavenly Father. I’ve always felt the safety of His wings around me. I can look back now and see what He spared me from. I can see what He spared my children from and I pray that He will bring healing and strength to my family members are that anguishing so much today. I have no moral to this story. I have no shining nugget of wisdom to leave you with. I have no grand revelation to share. I just don’t want others to walk this same path if they can keep from it. Family absolutely SHOULD be a safe place. A sacred place. Where people grow and learn and thrive. But please, never allow your child to be in danger – emotionally, physically, or spiritually because… well, family is family. Protect your children from abuse. Protect your children from neglect. And be a safe place. Thursday evening my husband and I attended a Donald Trump rally in Kissimme, FL and I posted some of the pictures and videos on my Facebook page. When the umpteenth person messaged me and asked me why I was voting for Trump and what I say to other Christians who don’t want to vote for him, I decided maybe I should just put my thoughts into words that everyone can see. Let me start off by saying that I know nothing about politics. When we watch the Convention and the inner party debates I have to ask my husband to give me the play-by-play in layman’s terms because my mind tends to forget election-year jargon in between elections. It’s like I need an Intro to Civics class every four year and a quick history on each of the key players. “Who’s that guy and where did he come from?” But as a Christian that rarely ever holds back her thoughts or feelings on anything, I feel that it’s important to share what God has showed me and what He’s laid on my heart about this year’s Presidential election. Donald J. Trump is not my first candidate of choice for POTUS. But since my husband isn’t running for office, I have to pick someone else. Truthfully, Dr. Ben Carson was my first pick of those original Republican candidates that begged for our money and our vote. I wasn’t sure if he was strong enough as a contender but I knew he was strong in his faith, in his beliefs, in his values, in his morals, and in his desire to be a servant leader of our country. But he didn’t win the Republican nomination. So, now we have Trump and Hilary. Yes, I could quote what many of my fellow Conservatives have said in that “Any vote against Trump is a vote for Hilary” and that is true. But my reasons for voting for Trump go much further beyond that. I actually have a few things I like about the guy. And I have the longest laundry list in history of reasons nobody should ever vote for Hilary Clinton. I’ll do my best to summarize those as concisely as possible, though. This is a blog. Not a sequel to War and Peace. OK, so why I like Trump: First off, like it or not, he won the Republican nomination. He won. That tells me a few things. 1. He’s obviously better at this politics stuff than we thought he was. 2. The American people are tired of politicians. And 3. He must know a lot more than I know because I have no idea how he beat out the candidates but he did. Second, if anyone knows about money and debt and how to have more money than debt, it’s Donald Trump. The man has built an empire. He has failed along the way many times. But he has kept building higher and higher. If there’s any hope of someone looking at the financial ruin our country is currently in and finding a way to dig us out of it, Trump can. Third, while I’m not a huge fan of his temperament, Donald Trump is not a man that other world leaders will easily push around. We’ve been viewed as a weak, passive nation for the past 8 years and I think it will take someone with a strong personality and strong initiative to bring us back to the top. We need a President who will keep us safe and fight to protect us from RADICAL ISLAMIC TERRORISTS. Trump isn’t afraid to call them what they are. And he won’t be afraid to keep them out of our country. Most importantly, I’m going to vote for Donald Trump for this one reason: The next President of the United States will have the honor and privilege of assigning potentially 2-4 future Supreme Court Justices. Why does this matter? Because Presidents don’t get to make laws. Presidents can’t end abortion. Presidents don’t rule on marriage or gun control or our freedom of speech. But Supreme Court Justices do. And we need a President in the White House that will appoint Conservative Justices to the Supreme Court. If you want to see positive change in our country, this is where it will be. Now for the short list of why I don’t like Hilary: First, I don’t want a President that is already wrapped up in a number of controversial scandals. If your personal integrity is not strong enough to keep you out of this kind of trouble BEFORE you’re President, you have no hope of reigning with integrity from within the Oval Office. Second, I do not trust a word that comes out of that woman’s mouth. Plain and simple – she has a loooooooong record of lying to the American public. Third, while I think a woman could make a fine President, I do not think SHE would make even a descent President and voting for her simply because she’s a woman would make me sexist. Fourth, she has not made our international relationships stronger. She knows nothing about international trade. And she is certainly not respected or taken seriously by many foreign dignitaries. She stands no chance of becoming a strong world leader. And finally fifth, she will ABSOLUTELY appoint liberal Justices to the Supreme Court, taking away our guns, limiting our freedom of speech, demanding acceptance of muslim extremists and sharia law in our country. She will not protect our integrity. She will not protect our borders. She will not protect us from terrorism. She will bring further demise to our sinking country. I left the Trump rally with a longer list of things I like about Trump and things I dislike about Trump than what I walked in with. But my support for him as our next President grew exponentially. I know, beyond a shadow of a doubt, that if there’s any hope for our nation, it will be with him as our Commander in Chief. And I know that if he is not elected President, it won’t be the fault of the liberals. It won’t be the fault of the pro-choice and the anti-gun and the pro-tolerance-of-everything. It will be the fault of the Evangelical Christians and other card carrying members of the Republican party who are too busy fighting amongst themselves to remember who they’re supposed to be fighting against. It will be the fault of the Americans who don’t want to vote because they don’t like either candidate. It will be the fault of the Americans who think their vote doesn’t matter. And it will be the fault of the Trump supporters who didn’t want to stick their necks out on Facebook or in the office or in their Sunday School class or at the gym or at the shooting range or at lunch and say something about the truth of our nation and the consequences of voting Hilary Clinton into office. It will be my fault if I haven’t done everything I possibly can to encourage my friends to take their civic duty seriously and to pray hard about their right to vote and to pray hard for the next President of the United States. I don’t know a lot about politics and government and international diplomatic relations. But I know that our country needs to fall on her face before God and beg Him for forgiveness for the sins of our nation. And I know that 2 Chronicles 7:14 says that, “If my people, who are called by my name, will HUMBLE themselves and pray and seek my face and turn from their wicked ways, THEN I will hear from heaven, and I will forgive their sin and I will HEAL their land.” [emphasis added is mine] I don’t see a lot of humility in either candidate. And I don’t hear anyone asking for forgiveness. But Donald Trump is the only one that I see seeking the counsel of those who pray. He’s the only one I see seeking the counsel from conservative, Bible believing, God loving Christians. He’s the only candidate of the two that might bring us any closer to that HEALING we so desperately want and need in our land. That’s why I’m voting for Donald Trump. And that’s why I’m asking you to give him your vote, too.